Photos can only be submitted to OK.gov via the online submission form. Only photos that are submitted in a JPG or GIF format will be accepted. Photos must be appropriate for posting on a public government website. Obscene, provocative, or otherwise questionable content will not be considered. OK.gov retains sole discretion as to what constitutes inappropriate content. Photos containing people must be accompanied by a signed model release form. This form must be printed out and mailed to OK.gov with the name of the JPG or GIF file you submitted. Photos with people will not be posted on the OK.gov Web site until the model release form has been submitted. Photos must be submitted by the original photographer. Do not submit a photo taken by someone other than yourself. You must be the sole owner of the copyright of any image submitted. Your submission of the photo and online entry form is your guarantee that you are the author and copyright holder of the photo. Photographers retain the copyright to their photographs. By submitting your photo, photographers agree to have their submitted photograph displayed on the OK.gov Web site without any fee or other form of compensation. OK.gov may make and retain copies of the photograph for archival purposes. Posted photos will be subject to the Ok.gov Web site photo use policy. Photographs will be credited to the photographer named in the submission form. Photos may be selected for display or use in other Oklahoma state government Web pages, with permission from the photographer. Photographers agree that OK.gov may contact them to obtain permission for use of photos in this way. 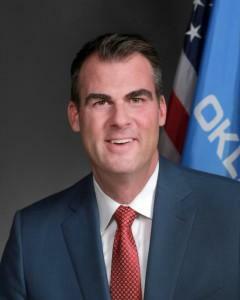 Photos will never be used by OK.gov in any manner for advertising or sale. In the event that ownership of any photograph submitted to OK.gov is contested in any manner, OK.gov retains the discretion to reject that photograph and discontinue use of the photograph. Digital images can be submitted via the OK.gov online submission form. Images should be formatted to 72 dpi, no larger than 600 by 450 pixels and no smaller than 300 by 225 pixels. Images should be submitted in JPG (at high quality) or GIF format. File sizes must be less than 500K per image. Images must be in natural color. You may crop or rotate images, as necessary, as long as the rectangular format is maintained and the size is within the specifications above. Photos will be selected on the basis of creativity, photographic quality, and effectiveness in conveying the beauty and/or unique character of Oklahoma. OK.gov will review all submitted photos. Entries that fail to comply with the photo guidelines will be rejected. No financial compensation will be provided to companies and/or individuals whose photo is selected. OK.gov is not responsible for computer system, hardware, software, or program malfunctions or other errors, failures, or delayed computer transactions or network connections that are human or technical in nature. Furthermore, OK.gov is NOT responsible for: (i) lost, misdirected, misplaced, illegible, unintelligible or incomplete submissions or (ii) any act, failure to act, or delay regarding the transmitting or processing of entries. OK.gov reserves the right, in its sole discretion, to cancel or suspend all or any portion of this Photo Gallery without notice if factors beyond OK.gov's control, including technical difficulties, disrupt or corrupt the fair or secure administration or operation of the Photo Gallery. OK.gov is entitled to interpret these rules as needed and its decisions are final. OK.gov reserves the right to deny any photo submission that OK.gov has reason to believe is not the original work of entrant, or does not otherwise meet the photo guidelines. By submitting your photograph(s), you agree to release and hold harmless OK.gov and its employees, officers, affiliates, agents, and advertising and promotional agencies from any and all damages, injuries, claims, causes of actions, or losses of any kind resulting from your submission, including infringement of intellectual property rights. OK.gov and its employees, officers, affiliates, agents, and advertising and promotional agencies assume no responsibility or liability for any damages, injuries, claims, causes of actions, or losses of any kind arising in whole or in part from this submission.